SVCC has organized Open House Program on 14 January. 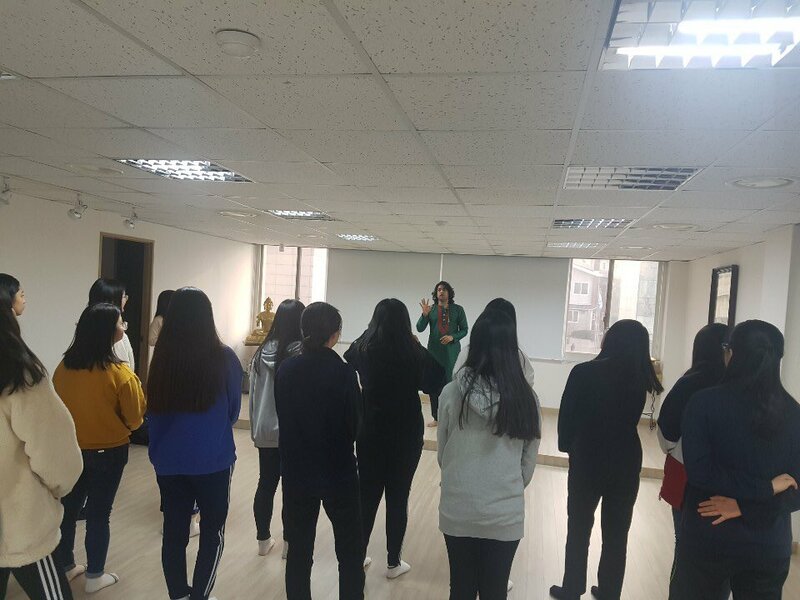 15 students from Youngpa Girls' High School has visited SVCC. 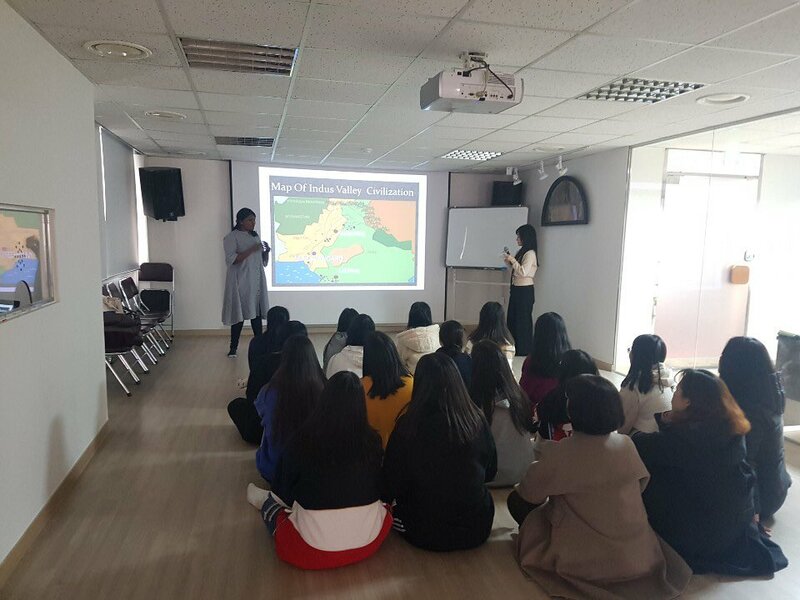 First, Ms. Healtha gave a lecture on India. 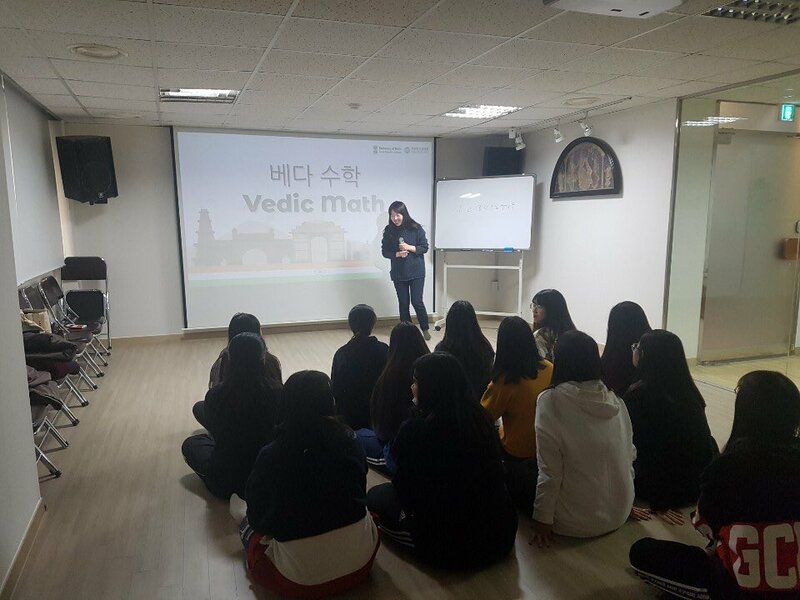 They had workshop on Kathak dance and watched a video that shows classical dance form of India followed by presentation of Vedic math and Quiz on India. 1월 14일, 주한인도문화원을 방문한 영파여자고등학교 15명의 학생들과 '오픈 하우스 프로그램'을 진행하였습니다. 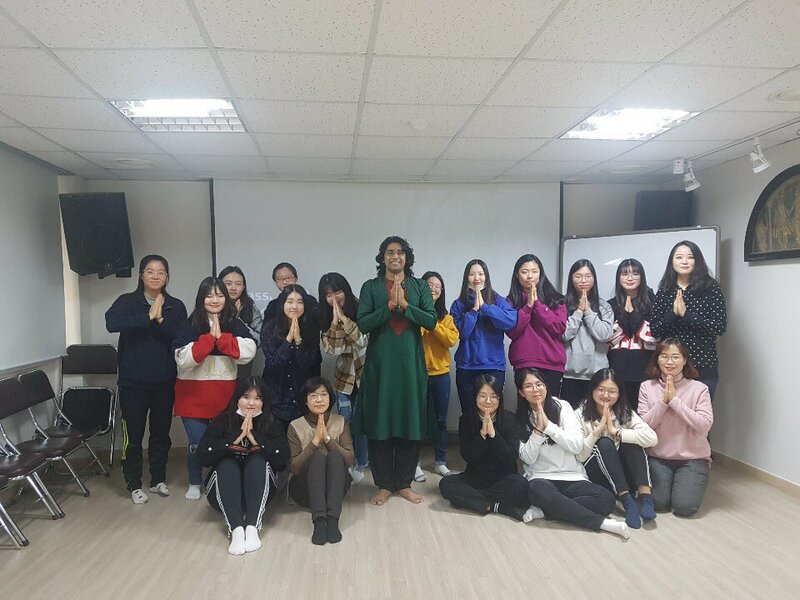 인도 강연, 까탁 워크샵, 전통 무용 비디오, 베다 수학 프레젠테이션과 인도 퀴즈 시간을 통해 인도 문화를 체험하였습니다.